The servers were very eager to please as we were the only diners. 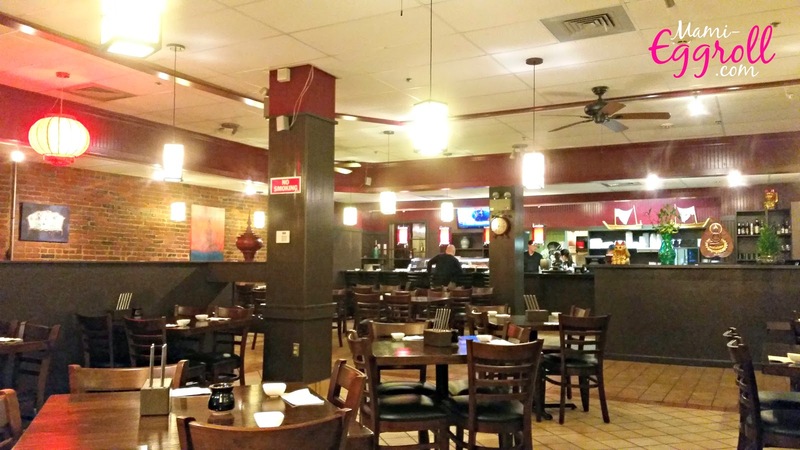 The restaurant had a complete makeover and it definitely looked a new establishment. There were no reminisce of the old Burger King, where I use to frequent circa 1998. 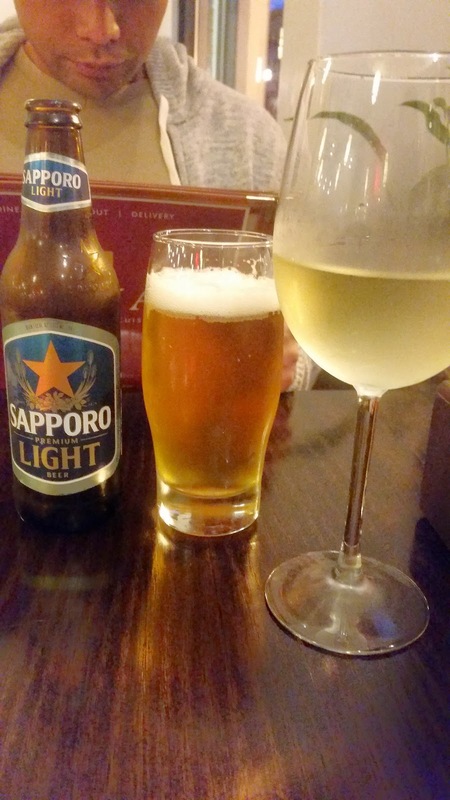 The restaurant doesn't have a full liquor license so we imbibed on Japanese beer and a few glasses of Pino Grigio. Prices for the drinks were great. 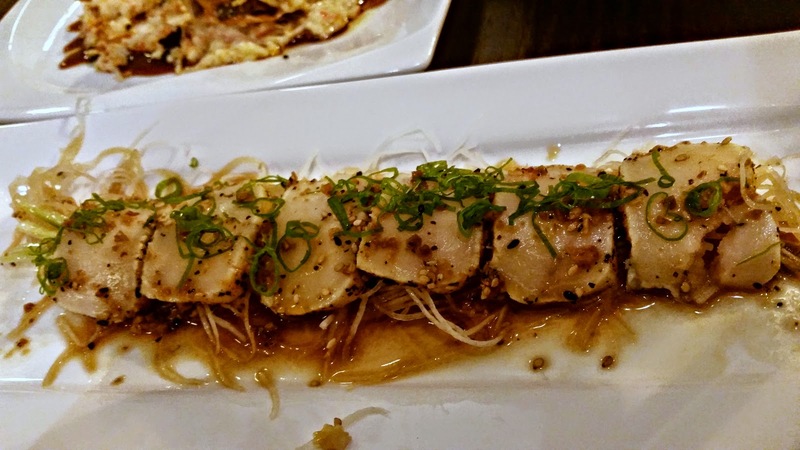 I wanted to order my "go to" pepper tuna tataki but I wanted to try something new. We went with the white tuna carpaccio, it was just OK.
My FAVORITE dish was the Volcano Soft Shell crab. It was absolutely amazing! 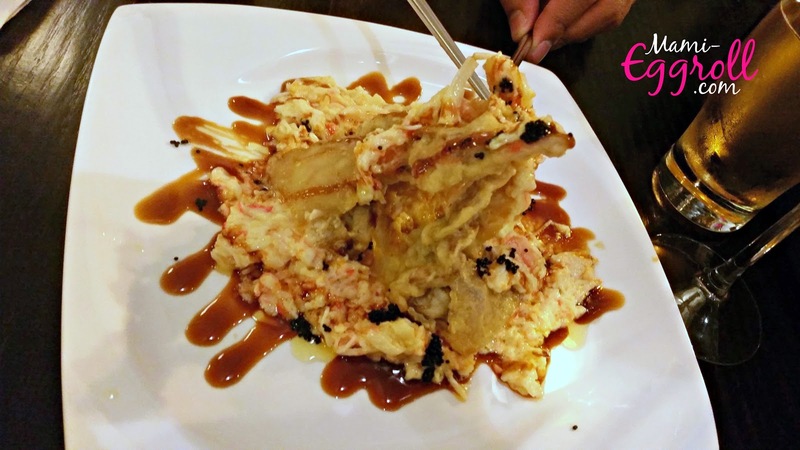 The menu describes it as deep fried snow shell crab topped with spicy snow crab and ponzu sauce. 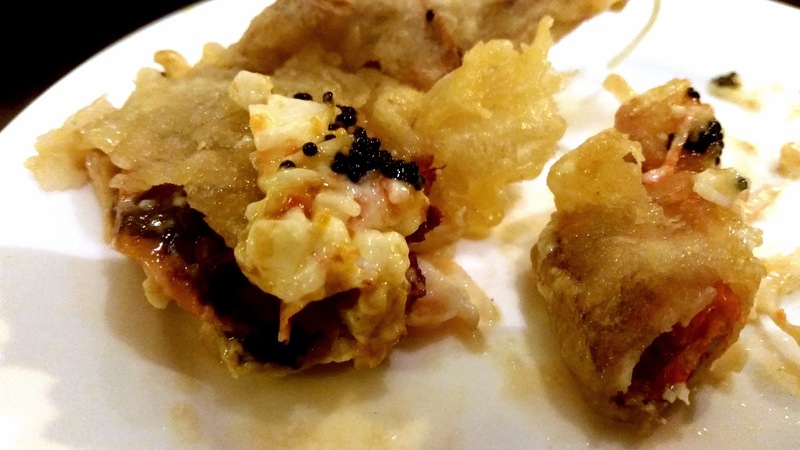 The crispy battered crab was a great contrast to the smooth silky snow crab meat and fish eggs, My mouth is watering now as I am reliving the moment as I type. The dish was so good, that I had to take a couple more pictures of it. 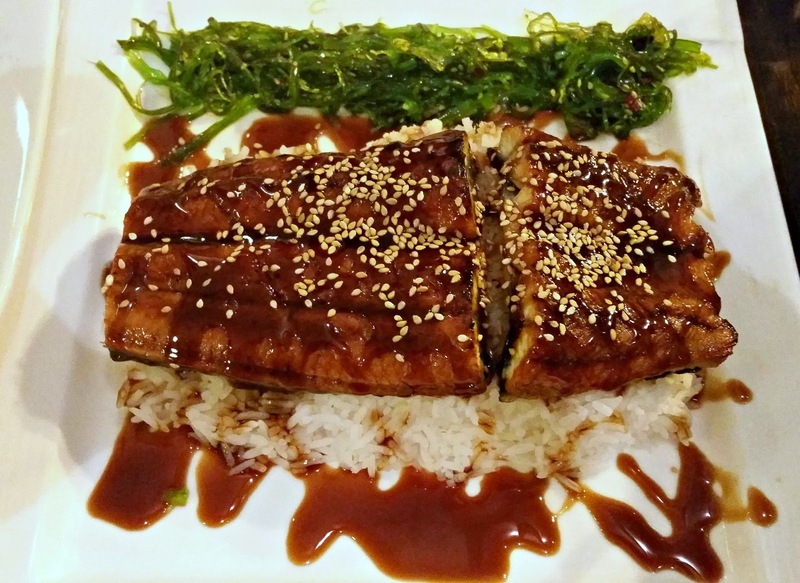 The Mo is a huge fan of unagi (eel) so we wanted to try the Unadon which was broiled eel over a bed of sushi rice served with seaweed salad. He loved the dish and ate every bite of it. 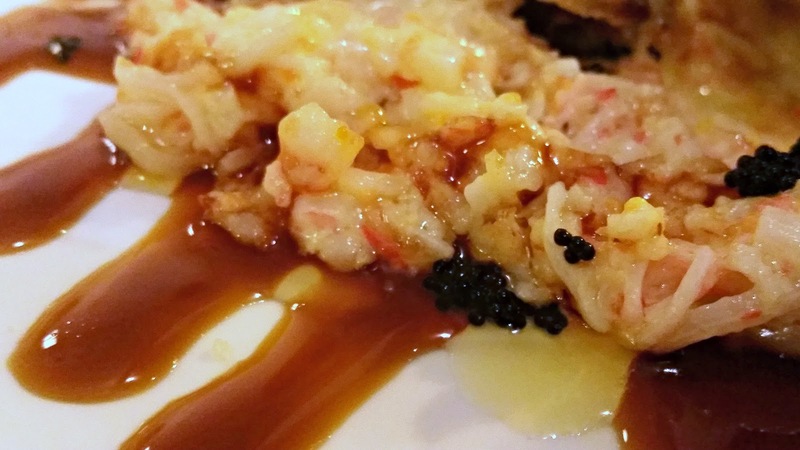 In addition to the Japanese menu offerings, the restaurant also serves Malaysian, Thai, and Chinese cuisine. The street vendor style calamari intrigued me so we got an order. 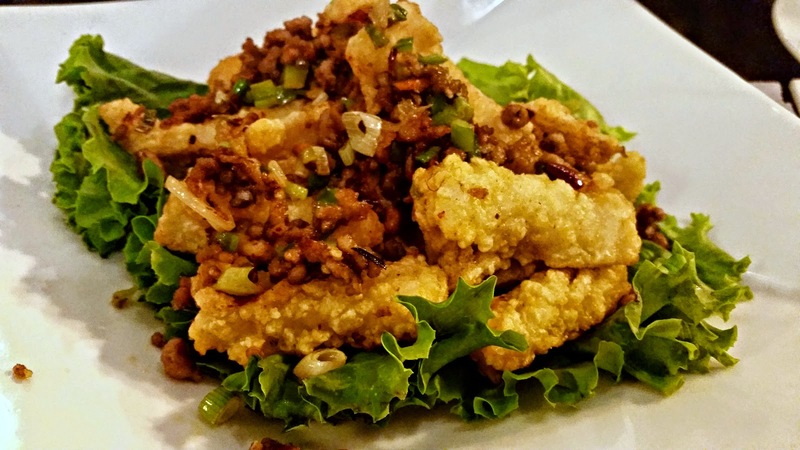 The fried battered calamari was topped with minced pork and scallion. The dish was tasty and a little different that what we were used to. Our bill came and it was around $ 60.00 for 4 drinks, 2 apps and 2 entrees. What a steal! We'll definitely be back!